Listen to this beauiful composition from A R Rahman and Gulzar, which is a tribute to Indian Hockey. 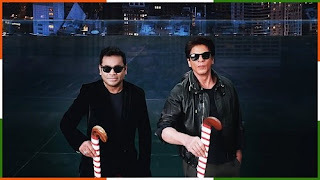 Jai Hind India Lyrics is a tribute to Indian Hockey by A R Rahman. This music video is sung by Nakul Abhyankar, A.R. Rahman, MC Heam and music is composed by A.R. Rahman while lyrics are beautifully penned down by Gulzar.